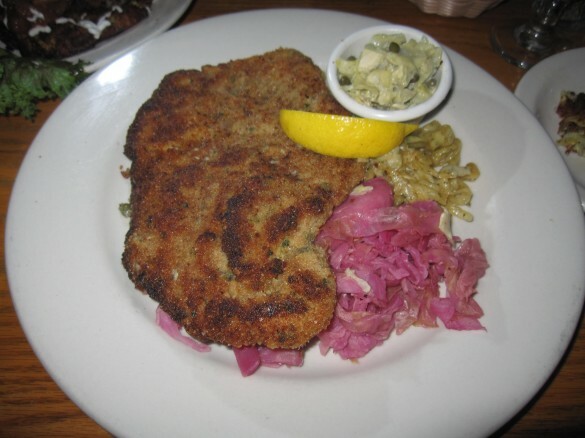 Mecklenburg Gardens – Cincinnati, Best German Food Ever! I really liked the food here. It’s hearty and delicious. I love that this is the oldest restaurant in Cincinnati. For appetizers we had the pretzel with bier cheese, the sausage sampler, and the potato pancakes with applesauce and sour cream. I loved the pretzel and the bier cheese was so yummy! I want to try to duplicate the cheese. The sausage sampler was served with a mustard that complimented it well. I did like the potato pancakes but they were a little too greasy for me. I would avoid the potato pancakes. For our main entrees with had the sauerbraten (beef) with potato dumplings and apple cabbage and the wienerschnitzel (breaded veal) with apple cabbage. 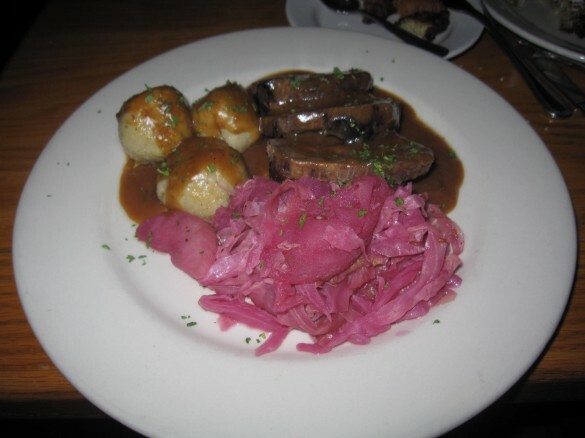 The sauerbraten was tender and I really liked the potato dumplings that came on the side. The wienerschnitzel was crisp. For some reason my husband liked dunking it in the bier cheese. My in-laws had the rabbit entree. I had a bite and it was great. I don’t even usually like rabbit. My husband and I liked the beer selection. 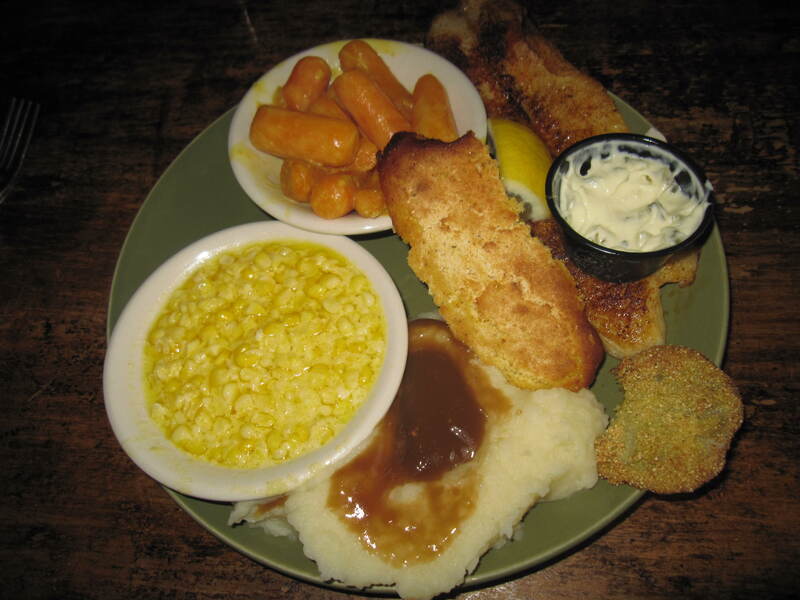 The service was great and our waitress was friendly and very helpful when we were picking our meals. Definitely give this place a shot if you’re into hearty food!